Did you get your invite as yet for the Spring Social? 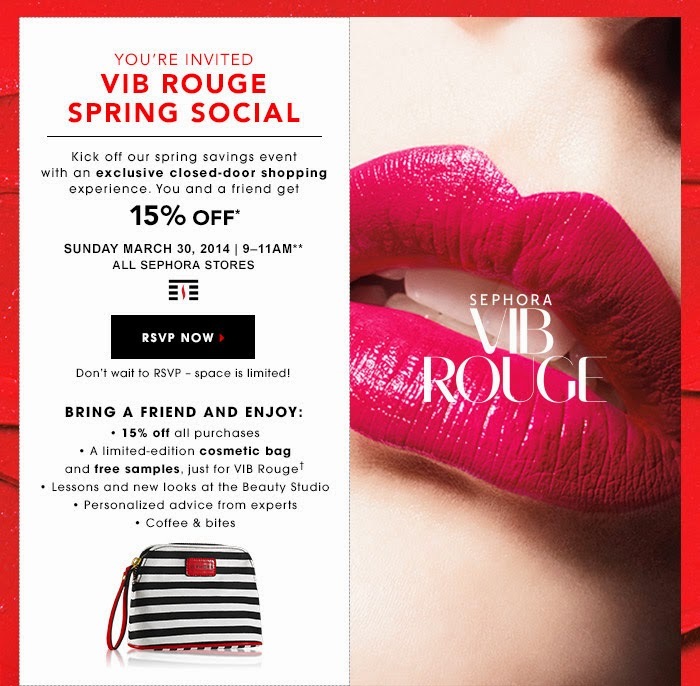 This is the second event since the VIB Rouge program was launched, specially formulated with VIB Rouge in mind. 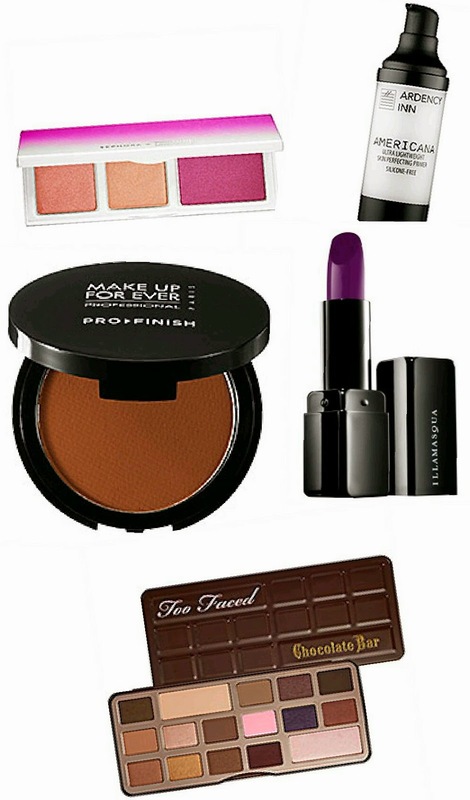 This season event focuses on offering a closed door shopping on Sunday, March 30, 2014 from 9am to 11am in EVERY Sephora across North America. (only in free standing stores). 15% savings does not apply to purchases of Gift Cards or e-Gift Certificates. Remember if you were invited to RSVP for the event, do so online at Sephora.com/rouge-rsvp by March 28th!